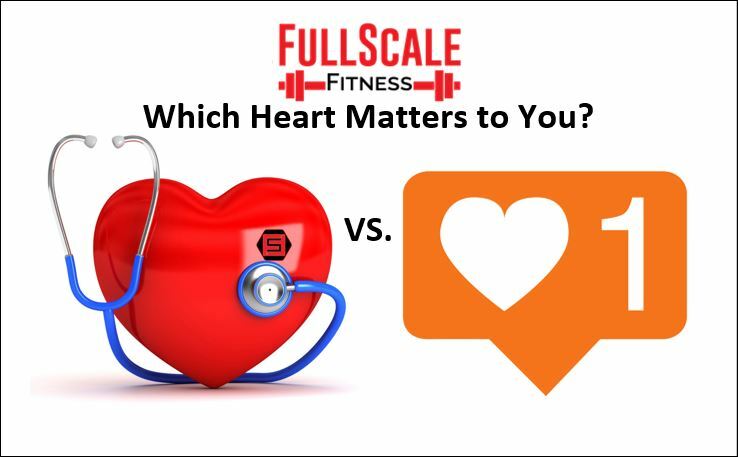 Are you exercising for your blood pressure or to look good for social media? The term "fitness industry" is a vague expression that encompasses everything from marathoners to Arnold Schwarzenegger wannabes to the radical supplements used to sell the ideology of health and self-glory. Breaking down the "fitness industry" into sub-categories will expose the true damage of what many don't see. Let me explain, having been a personal trainer for over 5 years and exercising for even longer, I've had my fair share of both experience AND exposure. I've experienced clients who say they want to lose 80 lbs. in 1 month for a summer body (100% truth) and then the clients who want to improve their general health for longevity and quality of life purposes. While both goals are unique and personal, they can be broken down into two areas - vanity vs. health. I was introduced to exercise from the vanity viewpoint. My peers were college "bro's" who focused on building up the largest chest and thickest set of biceps they could. The end goal was to look the best and this meant finding the easiest route to fulfill their self-glorified "legacy". I am happy to say I was introduced to this category of the "fitness industry" first because it taught me a lot about people and what fitness means to many. This "bro" driven area was enough to inspire my college career path to pursue Exercise Physiology from The University of Akron. This was a blessing because it brought up something that had been lacking - actual health and wellness. Yes, all of the time spent in the local gym weightlifting was improving my muscular health but there was more that I was missing. I was sickened at the thought of cardio because it would "kill my hard earned gains". My fitness was strictly vanity driven. It took about 3 years of working out when I had a realization - I could tell you my max bench press but I couldn't tell you my blood pressure. How am I supposed to be an advocate of health and wellness when I don't fully understand what it means? I had only been exposed to the weightlifting side, not the clinical side of fitness. With a few specialized college courses behind me, I came to realize how the projected "fitness industry" was actually a fluke. It's mostly made up self-infatuated individuals looking to "motivate" you through their personal success. Note, success in this area means a six pack for males or a torso-twisted narrow stomach for the females. How is this healthy? It isn't. The other area I had mentioned above was the actual health driven goal. When we perform our health assessments, our questionnaire gives us insight as to which type of client we will be working with. We often hear the same goals but it is the mindset around it which dictates how they'll respond. I currently train a few individuals who are looking to shed a few pounds for general health but they also have lower back pain. When we train them and their back pain subsides, they're overwhelmed with the idea of being functional again. They aren't worried about how they look, they're worried about picking up their children or grandchildren comfortably. The same situation develops for clients who are on the border of becoming diabetic. Weight loss and exercise for them is focused on their health, not just weight loss for Facebook posts. And side note, majority actually do know their blood pressure! The general population needs realistic and health-conscious goals, not magazine or Instagram-model influenced goals. Take a moment to think about yourself and consider what your body actually needs. Are you struggling with your weight or are you struggling to get social media followers? I'm advocating taking the challenge to focus on your true health, not just the vanity driven "health". Promoting exercise is a wonderful thing, promoting it in a healthy manner is the best thing. Let's advocate health for longevity, not followers. If you're looking to improve your health and wellness, contact us today at [email protected] or by giving us a call at (419) 906-0204 to get started. Our trainers are not only certified, they're all college graduates with a degree in Exercise Science. ps. You can learn your blood pressure by scheduling a complimentary health assessment with one of our local Northeast Ohio personal trainers today!